The Denver Nuggets hosted the Phoenix Suns at the Pepsi Center and won in convincing fashion, 120-104. 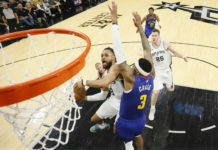 Seven players scored in double digits, including Wilson Chandler, who secured a season-high 28 points. 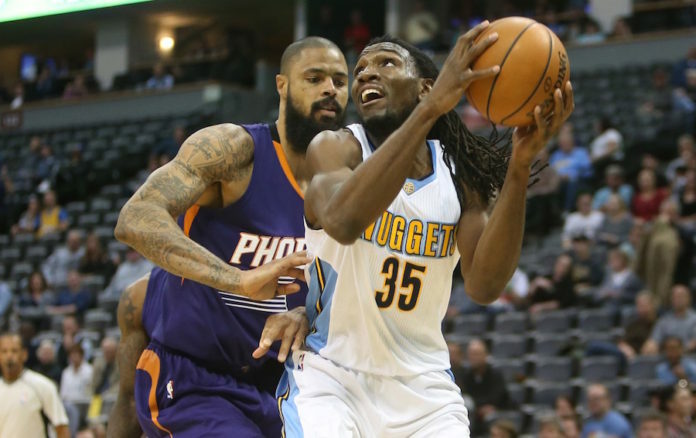 While Chandler was the one getting the offense going, Kenneth Faried was the catalyst on the defensive end. Faried was phenomenal, as he finished with four steals and had a season high in both points (20) and rebounds (14), earning his third double-double of the season. 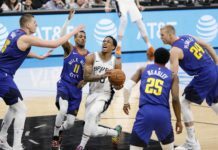 Often known for his high energy, Faried has been showcasing more than just that this season, specifically on the defensive end, where he’s been Denver’s most-improved player. For Faried, its more so about proving a point. Lately, Faried has let his game do the talking, and Malone has rewarded him by putting him back into the starting lineup, a spot Faried believes he deserves. And with a defensive rating of 104.9 (per NBA.com) so far this season, that’s exactly what Faried has done, posting his highest defensive rating since the 2012-13 season, when he finished the year at 102.5. In that time, Faried has never posted a defensive rating lower than 107.1. If he truly is a changed defender, he may very well prove all those doubters wrong.